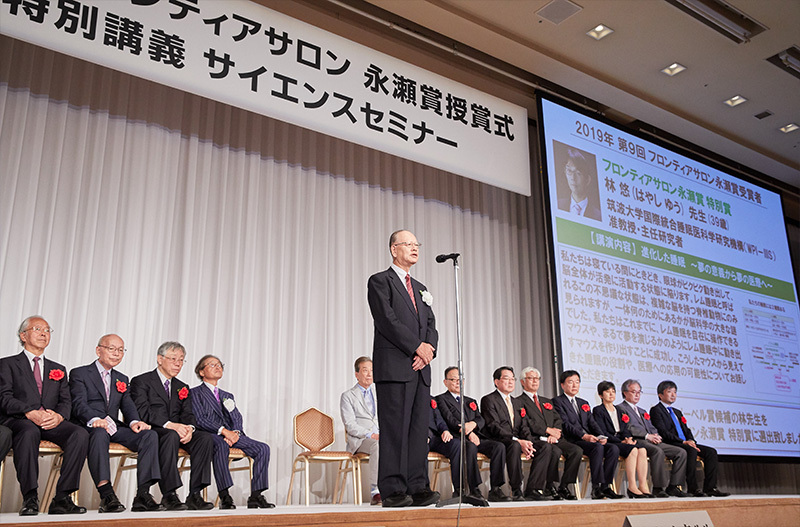 >2018/9/28　2018 Nagase Prize recipients have been decided. 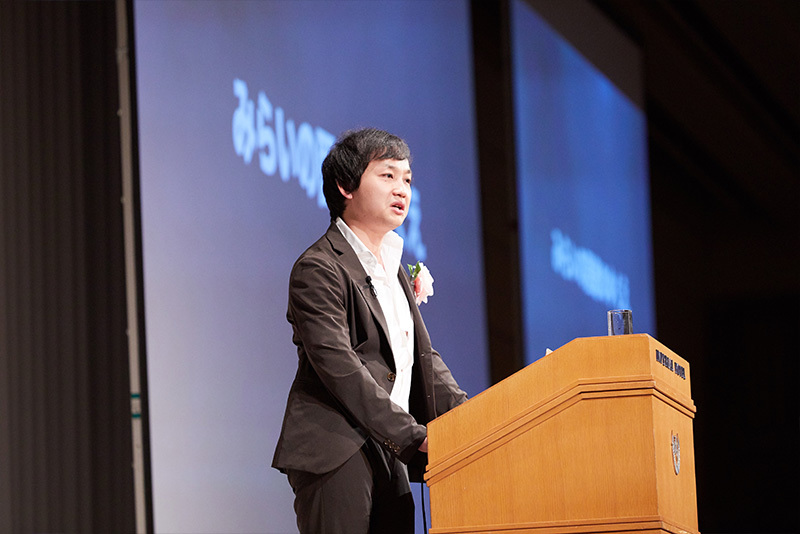 Conducting lectures by young researchers, recommending and selecting speakers, and recommending and selecting the Nagase Prize (once a year). (Former) Editor of Nikkei BP "Nikkei Nano Technology"
Akiyuki Nagase President and CEO, Nagase Brothers, Inc.
Teruhisa Nagase Senior Managing Director, Nagase Brothers, Inc.
Frontier Salon was established in July 2010, with the former President of Tokyo University of Agriculture and Technology, Mr. Seizo Miyata as a president, to support young researchers who will create the future of Japan. In September 2013, it was renamed to "The Frontier Salon Foundation" and was recognized as a general incorporated foundation. 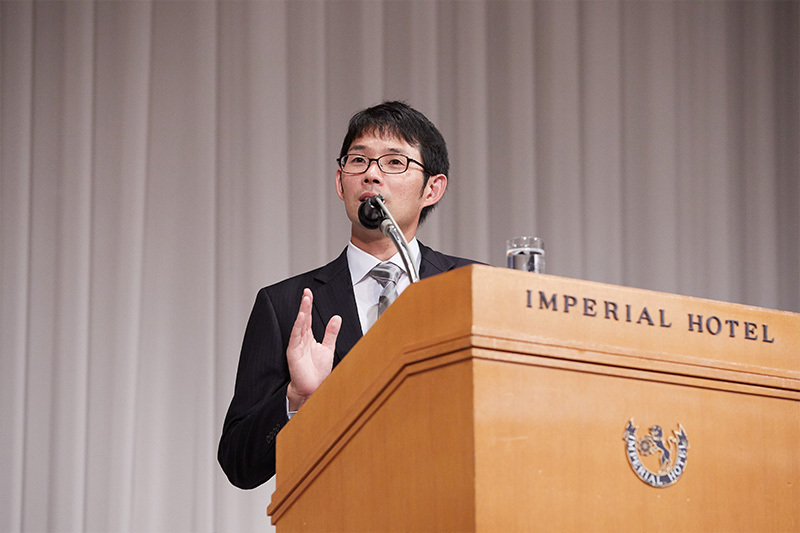 At a general meeting held once every two months, and young researchers, who have been recommended by members of the Foundation, give a lecture. 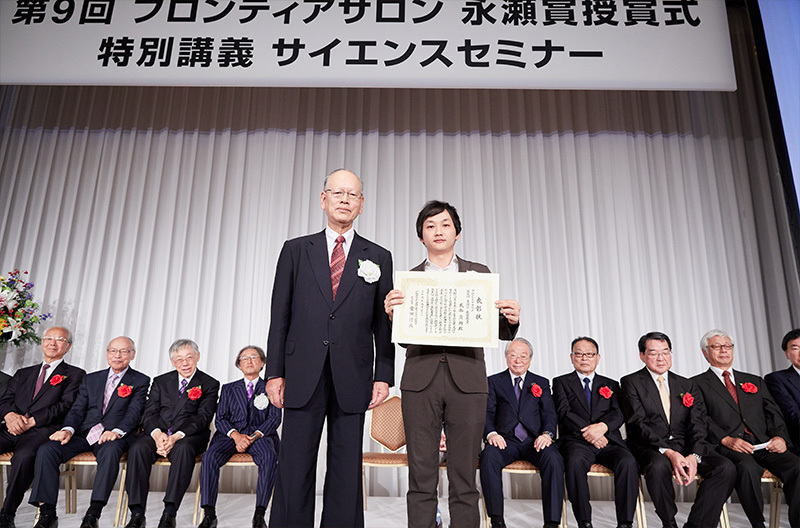 The Nagase Prize is selected at a screening meeting held in August once a year from among the researchers who have given a lecture, the winners are given an award ceremony at the Imperial Hotel Tokyo every September, and a special lecture is held for approximately 1,000 high school students.